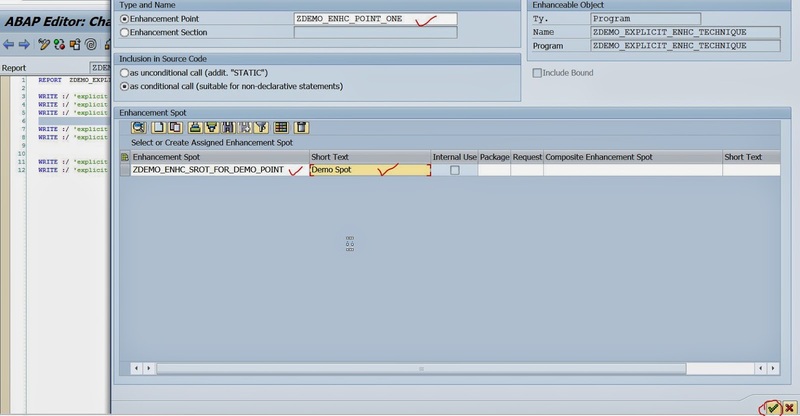 Creating Enhancement point really makes sense to enhance SAP standard program where the business needs some specific functionality that could not be achieved by implicit enhancement technique. 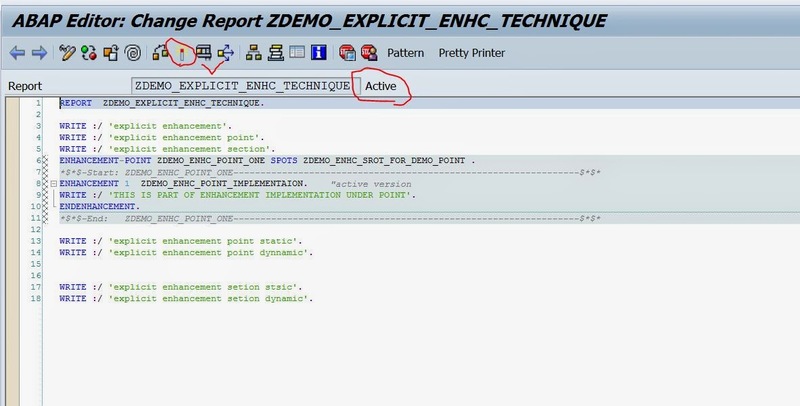 In the below demo the explicit enhancement technique is described in a Z program. Step1. 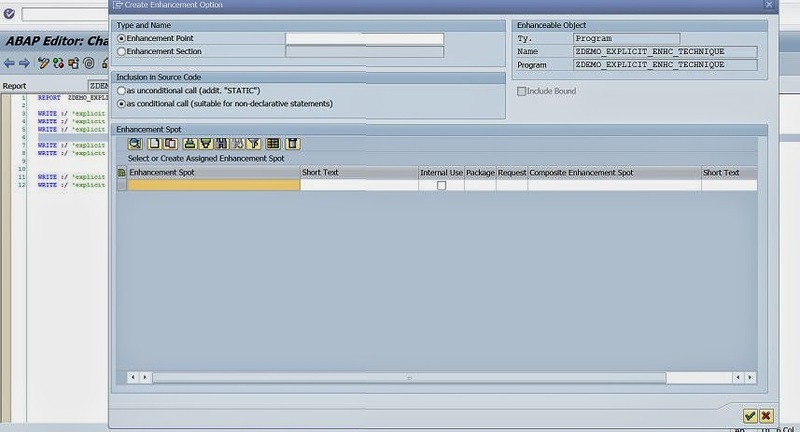 Create a report program & execute it. Step2. The below O/P appears. Step3. put the cursor on a empty line and from the Menu navigation Create a option. Also same can be done by right click on am empty line and navigate along the highlighted path to create an option. Step4. The below pop up screen apperas. Step5. Provide an Enhancement Point Name and Enhancement Spot & short text . At last click on Continue button. Step6. One new line is inserted at the selected point in the program. 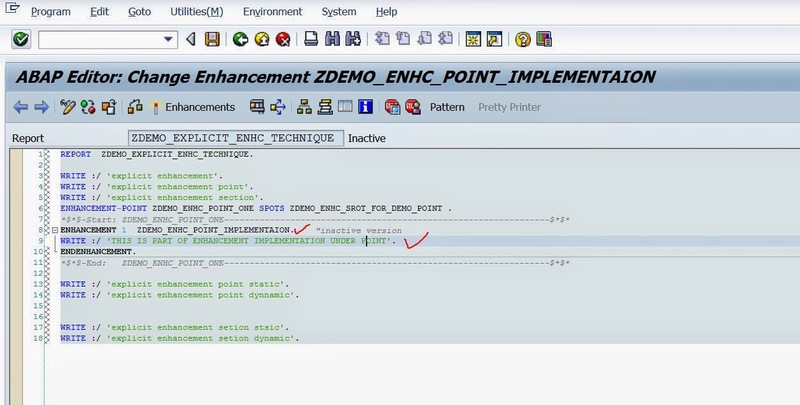 Now the enhancement point is created but we need a enhancement implementation to put our specific code. So click on the Spiral icon to enter into enhancement mode. Step7. Place the cursor on the Enhancement point . Step8. 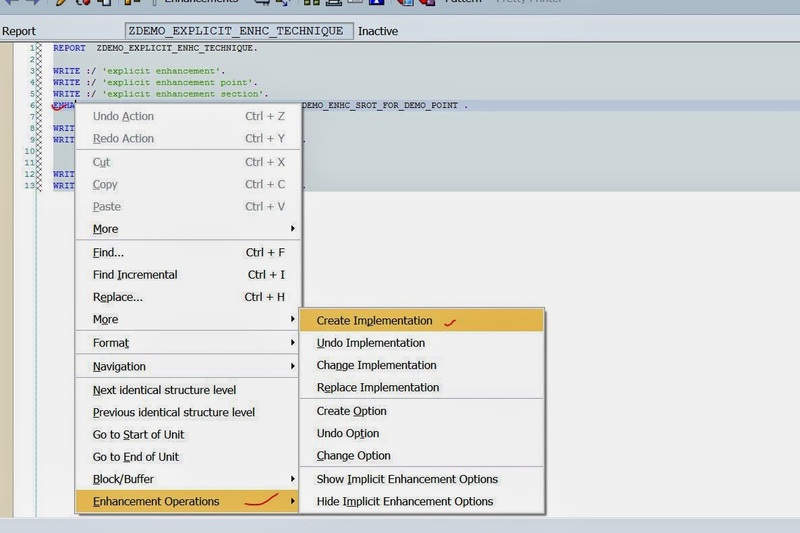 Navigate along the menu option to create an implementation. Step9. Provide the implementation name & description and continue. Step10. The below ENHANCEMENT & ENDENHANCEMENT line is added in the program under the enhancement point. Step11. Put some code inside the enhancement implementation. The enhancement implementation is inactive. 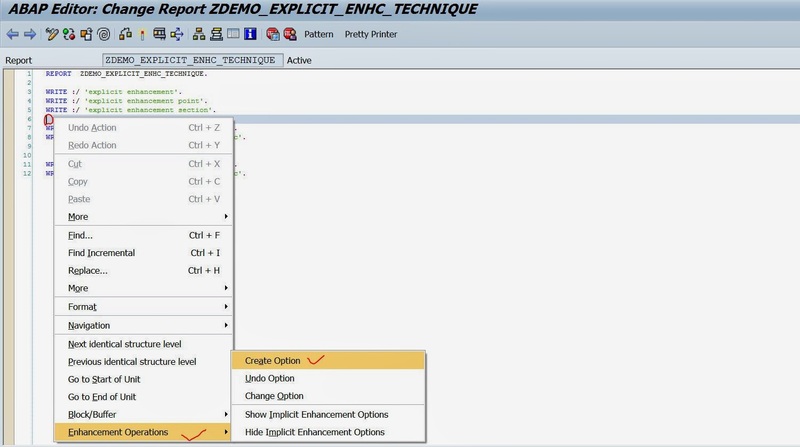 Double click on the Enhancement Implementation. Step13. Activate it and go back. Step14. 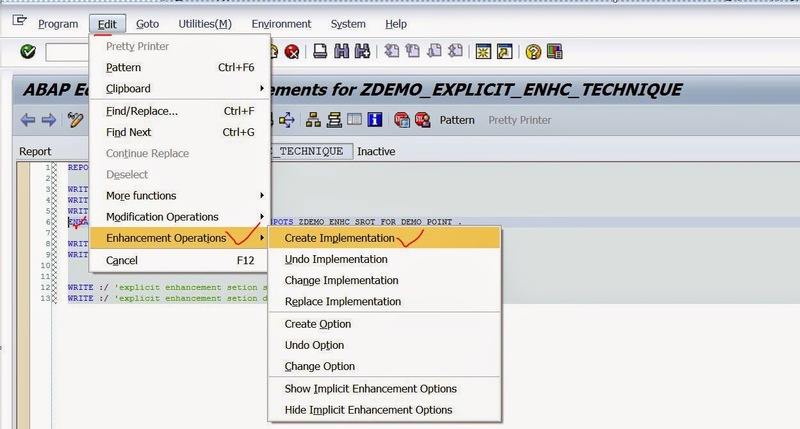 The enhancement implementation is active but the program is inactive. Go back from the enhancement mode. (i.e click on the back button). Step15. Activate the program & execute it. Step16. Hence we get the below O/P.